Through the whole of the Proverbs, we are to look for somewhat beyond the first sense the passage may imply, and this we shall find to be Christ. He is the Wisdom so often spoken of in this book. The comfort of parents much depends on their children; and this suggests to both, motives to their duties. Though the righteous may be poor, the Lord will not suffer him to want what is needful for spiritual life. Those who are fervent in spirit, serving the Lord, are likely to be rich in faith, and rich in good works. Here is just blame of those who trifle away opportunities, both for here and for hereafter. Abundance of blessings shall abide on good men; real blessings. Both the just and the wicked must die; but between their souls there is a vast difference. Dissemblers, after all their shuffling, will be exposed. Trick and artifice will be no excuse for iniquity. The good man's mouth is always open to teach, comfort, and correct others. Where there is hatred, every thing stirs up strife. By bearing with each other, peace and harmony are preserved. Those that foolishly go on in wicked ways, prepare rods for themselves. Whatever knowledge may be useful, we must lay it up, that it may not be to seek when we want it. The wise gain this wisdom by reading, by hearing the word, by meditation, by prayer, by faith in Christ, who is made of God unto us wisdom. This refers to the common mistakes both of rich and poor, as to their outward condition. Rich people's wealth exposes them to many dangers; while a poor man may live comfortably, if he is content, keeps a good conscience, and lives by faith. Perhaps a righteous man has no more than what he works hard for, but that labour tends to life. The traveller that has missed his way, and cannot bear to be told of it, and to be shown the right way, must err still. He is especially a fool who thinks to hide anything from God; and malice is no better. Those that speak much, speak much amiss. He that checks himself is a wise man, and therein consults his own peace. The tongue of the just is sincere, freed from the dross of guile and evil design. Pious discourse is spiritual food to the needy. Fools die for want of a heart, so the word is; for want of thought. That wealth which is truly desirable, has no vexation of spirit in the enjoyment; no grief for the loss; no guilt by the abuse of it. What comes from the love of God, has the grace of God for its companion. Only foolish and wicked men divert themselves with doing harm to others, or tempting to sin. The largest desire of eternal blessings the righteous can form, will be granted. The course of prosperous sinners is like a whirlwind, which soon spends itself, and is gone. As vinegar sets the teeth on edge, and as the smoke causes the eyes to smart, so the sluggard vexes his employer. What man is he that loves life? Let him fear God, and that will secure to him life enough in this world, and eternal life in the other. The believer grows stronger in faith, and obeys with increased delight. The wicked would be glad to have this earth their home for ever, but it cannot be so. They must die and leave all their idols behind. Each day we walk through the Bible chapter by chapter making an application of our text to help us grow in the Lord. Many applications can be made from each day's text. 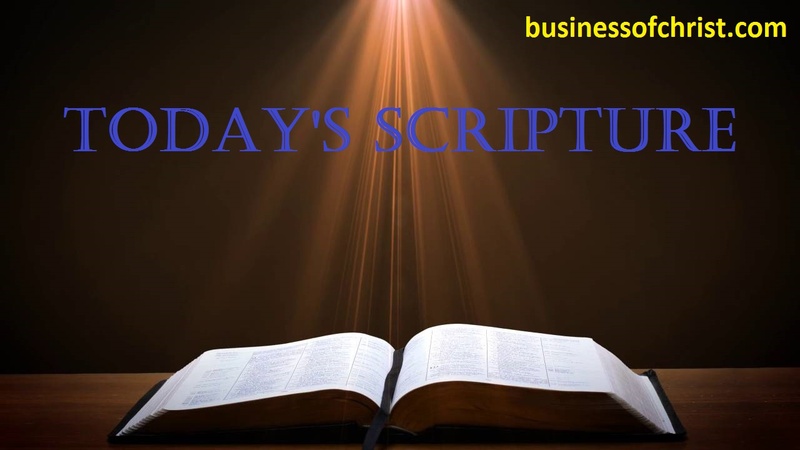 Today we continue with the Book of Proverbs with Chapter 10. In our text today we see in chapter 10-24 the wisdom for all peoples with practical wisdom for Godly living. In making application we see our responsibility to make wise decisions based on the Lord's instruction verses our feelings. Today we are taught that our feelings are to navigate of our lives. There are no absolutes but the truth is our Lord has instructed us with His Word and His Wisdom so we can make wise decisions. How about you? Are you following your feelings or the truth of God's Word? Let us learn from our text today and the wisdom of Proverbs to gain wisdom for our lives through the Word of God.